In 1972 Celtic manager, Jock Stein, took the advice of his old Parkhead team mate, Sammy Wilson, by signing, Roddy MacDonald, from the Highland league side, Brora Rangers. 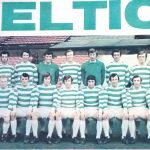 The teenage centre half was signed with a view to being the great Billy McNeill’s replacement and he served an apprenticeship in the reserves before making his Celtic debut at Gayfield Park in August 1973, on the same night that Celtic midfield legend, Bobby Murdoch, played his last ever game for the Celts. Roddy was used sparingly after that but for the 1974/75 season Stein chose him regularly in his squad in an effort to gain him more experience. In both the League Cup final (Hibs 6-3) and Scottish Cup final (Airdrie 3-1) MacDonald was an unused substitute as Celtic continued their successful run of silverware under the great Stein. Sadly, Jock was badly injured in a car crash in July 1975 and with McNeill having retired just months earlier, a great responsibility was now placed on young Roddy’s shoulders as Celtic’s first choice centre half. It proved a difficult season as caretaker manager, Sean Fallon, fielded a youthful team which often included Roddy with teenage hopefuls Roy Aitken, Tommy Burns and George McCluskey. Despite their best efforts the club ended up trophy-less for the first time since 1963-64. 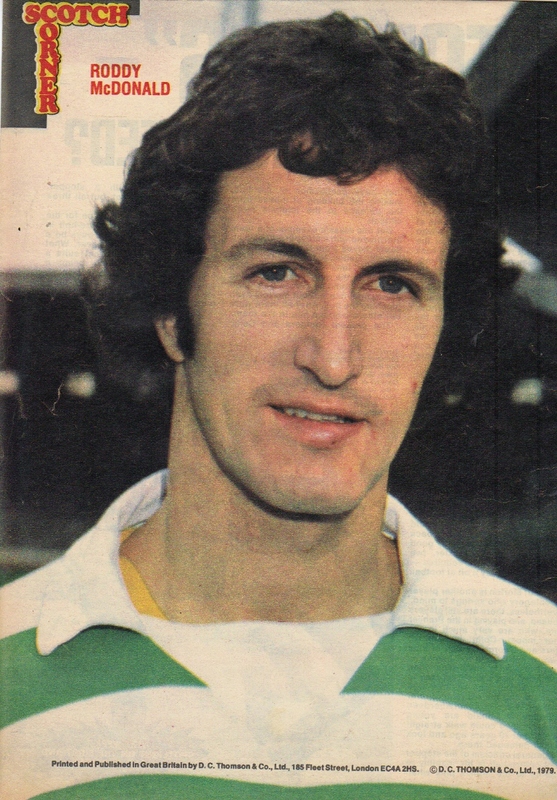 Stein returned to the helm in the summer of 1976 and pulled a master stroke when he persuaded Hibs to part with their experienced captain, Pat Stanton. Roddy then became the perfect foil for Stanton at the heart of Celtic’s defence. His prowess in the air together with Stanton’s brilliant reading of the game from his role as sweeper, worked to a tee. Celtic won an impressive League and Cup double and many observers viewed Roddy as the most improved player in Scottish football. The 1977-78 was an unmitigated disaster for Celtic. Captain, Kenny Dalglish, departed for Liverpool for a record fee and inspirational star players, Danny McGrain, Pat Stanton and Alfie Conn, were all out injured for long spells. Celtic finished in a disastrous fifth place in the league with no trophies. 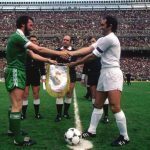 The only players to emerge with any reputation were Roddy and goalkeeper, Peter Latchford, who both played with courage and conviction during a difficult spell. Roddy had the honour of being named in Scotland’s initial 40 man World Cup finals squad in 1978 but did not make the final cut of 22. Billy McNeill became Celtic’s new manager in 1978 and Roddy was to suffer some bad luck. Having played in every game until late April, he suffered an ankle injury which kept him out of the legendary ‘4-2 game’ in May 1979, when Celtic beat Rangers by that scoreline in their last league game to win the League title, in the most dramatic circumstances, with just ten men. Davie Provan was now established at Celtic as the best winger in Scotland. With Roddy’s aerial prowess and Provan’s terrific crossing ability, the big defender became a goal thereat every time Celtic gained a corner or a free kick. Perhaps the best example was in October 1979 when Roddy spectacularly headed the winning goal against Rangers from a pin-point Provan corner, to send the Celtic fans into raptures. Bad luck again struck Roddy in May 1980 when suspension kept him out of the Celtic team which won the Scottish Cup by beating Rangers 1-0 at Hampden in the infamous ‘riot’ final. By the summer of 1980 Roddy was in dispute with the club and was one of the first Celtic players to challenge the new ‘freedom of contract’ regulations when his contract expired. Roddy was persuaded to re-sign and fight for a central defensive position with Roy Aitken and Tom McAdam. Celtic won another title in 1981 and Roddy had a fine game in the important 1-0 win against Rangers at Ibrox in April, when Billy McNeill surprised everyone by playing a back three central defensive unit of McDonald, McAdam and Aitken which worked a treat on the day. It came as a great shock in July 1981 when Celtic sold Roddy to Hearts for a £50,000 transfer fee. Hearts’ new chairman, Wallace Mercer, was determined to establish the Tynecastle side in the higher echelons of the Scottish game and was willing to spend a fair sum of money to do so. 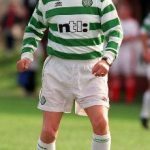 Celtic may have been tempted to thinking that Roddy’s best days were behind him but his experience was to be greatly missed in the seasons that followed. Roddy MacDonald was a reliable defender who served Celtic well and is remembered with great affection by the Celtic supporters for his efforts. 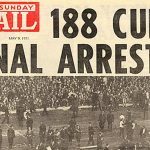 The Celtic Underground Podcast No.209 – Joe, Joe, Super Joe! What’s the point in highly paid executives?